Tuesday started with thunder and repeated downpours. But even that could not hold us back. We’ve been trying to fill every minute of my remaining time here in Clearwater. One of our favorites. I didn’t get anything at this one, but we had another reason for starting there. 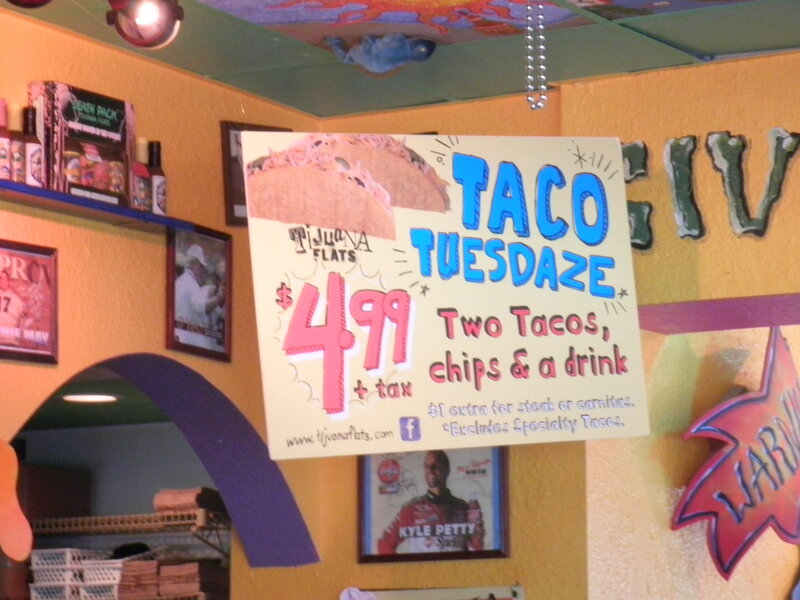 It’s right down the street from Tijuana Flats and it was Taco Tuesdaze!! This is a great deal. 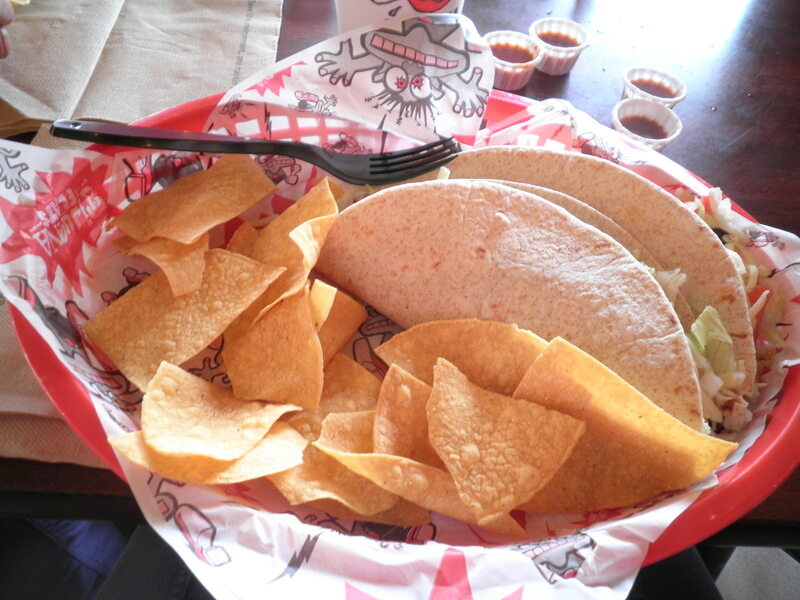 You get 2 tacos, chips and a drink With refills for $4.99!! Of course I gave my chips to Gail and Alice to enjoy but the tacos were wonderful!! 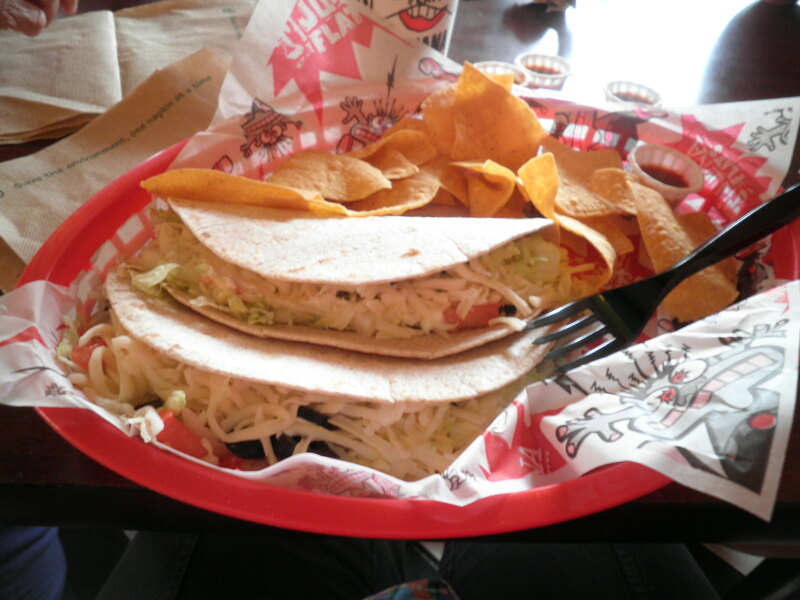 The tacos come with black olives, jalapenos, onions, lettuce, tomatoes and sour cream. I asked for mine with the black beans and made “power lite.” That means it’s made with a whole wheat tortilla, low-fat cheese and fat-free sour cream. They were delicious! They have lots of sauces also. My favorite is Don’t Be a Chicken Sh*@. It’s very spicy but good. After lunch, what do you do in a thunderstorm?? You go to the beach! 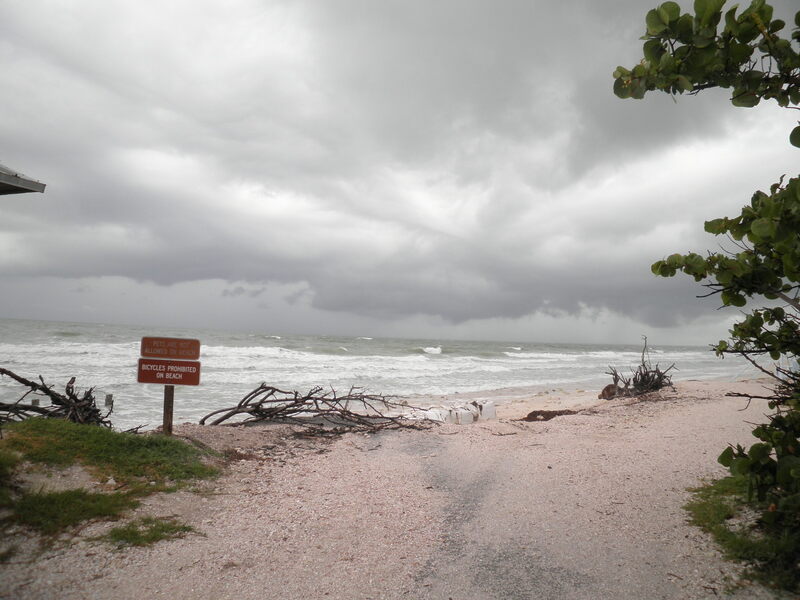 We headed to Honeymoon Island to look at the storm. I got some great photos! “The sky was angry that day, my friends.” Name that quote! It really was a very neat experience, windy, waves and crazy clouds. I’ll save some of the photos to share later. 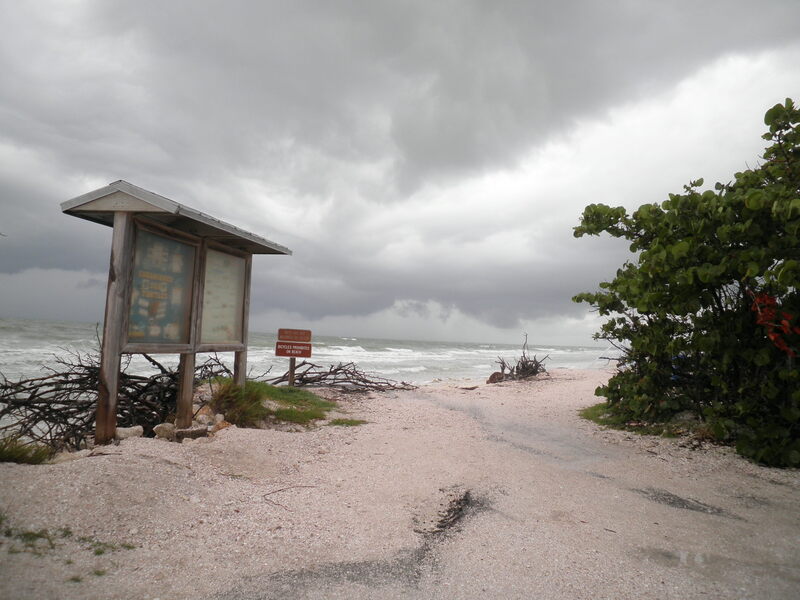 We Love to go to the beach in a storm! Afternoon brought us home for a little “feet up” time, but sooner or later we had to eat. Actually it was later, we didn’t leave until around 6:30 which is late for us. We headed to a new place that is just around the corner from Gail’s condo, Jimmy Ikes. It’s only been open for 7 weeks. It had a very friendly atmosphere and our waitress, Jilly was great. Their deal for the day was All You Can Eat pasta so we went with that. 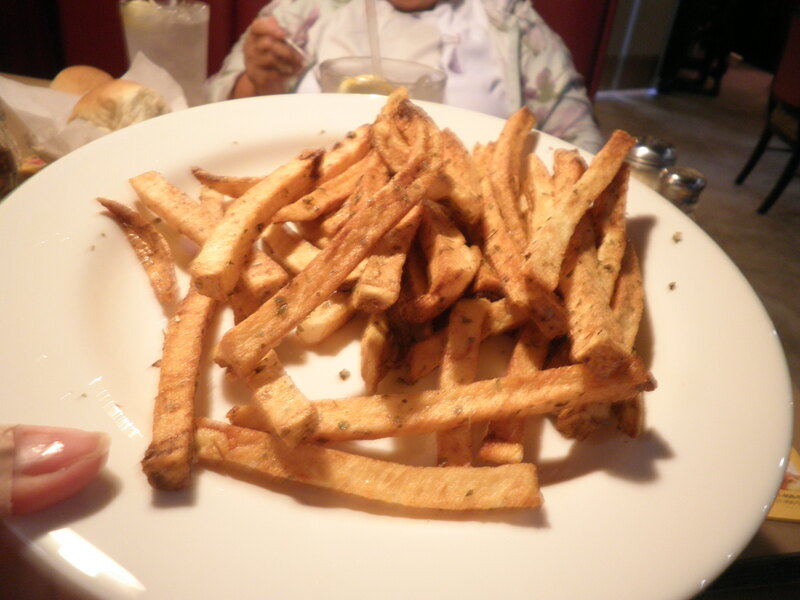 Alice decided to try their Greek Fries for a starter. Fresh potatoes cut and topped with salt and oregano. Very unique flavor, very yummy. The salad was really good and the dressing delicious. 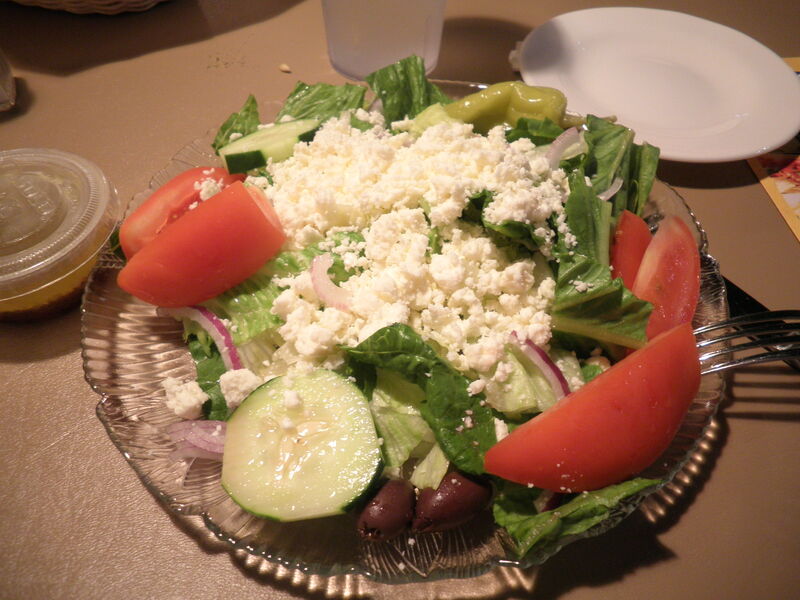 Sometimes Greek dressing can be too much oil or too much vinegar. This was just right and nicely seasoned. The disappointment came with the pasta. The serving was certainly substantial and I don’t know how anyone could eat more that one bowl this size. The pasta itself was fine, but the sauce had a bitterness to it and the pasta had not been drained, there was lots of liquid in the bottom of the bowl. 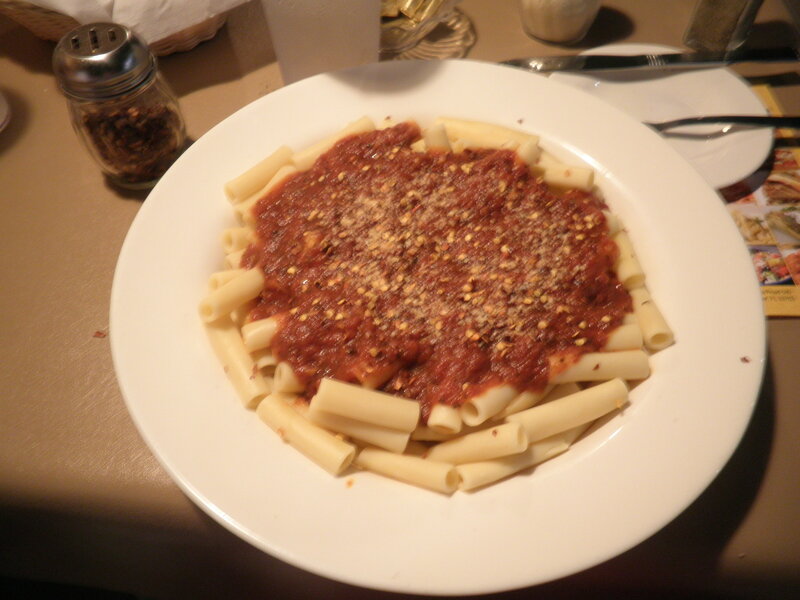 We told our waitress our reservations about the pasta and she said she would pass it on. In their defense, the regular chef was off and the owner was doing the cooking. Hopefully, she’ll pass our comments on to the chef and they may make some adjustments. 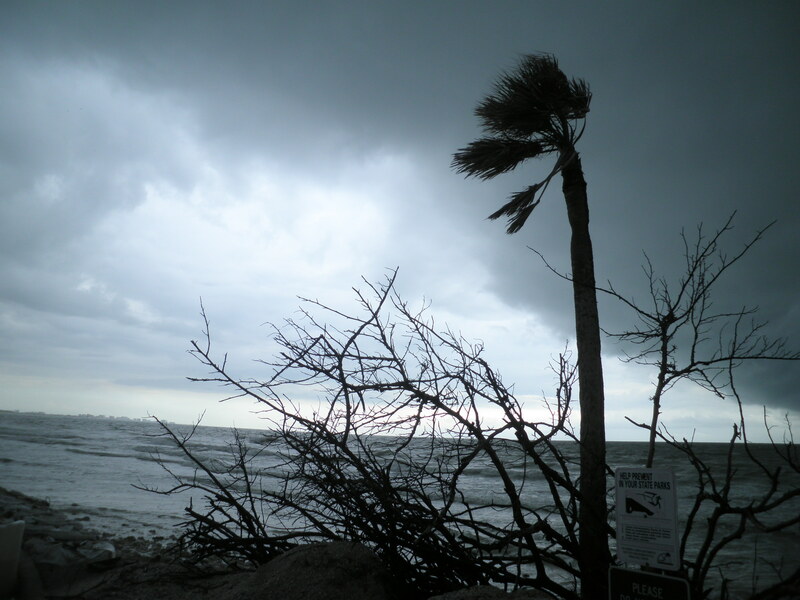 I’ll leave you all today with one of my favorite photos from Honeymoon Island. It was quite a storm. It’s still going on. As I write, outside of the window the wind is blowing, there’s lightning and the rain is coming down. It’s going to be packing day for me anyway. Not sure what else will happen. Going home tomorrow, so we’ll try to make the most of my last day here. Wow, you’re the thrift store QUEEN! 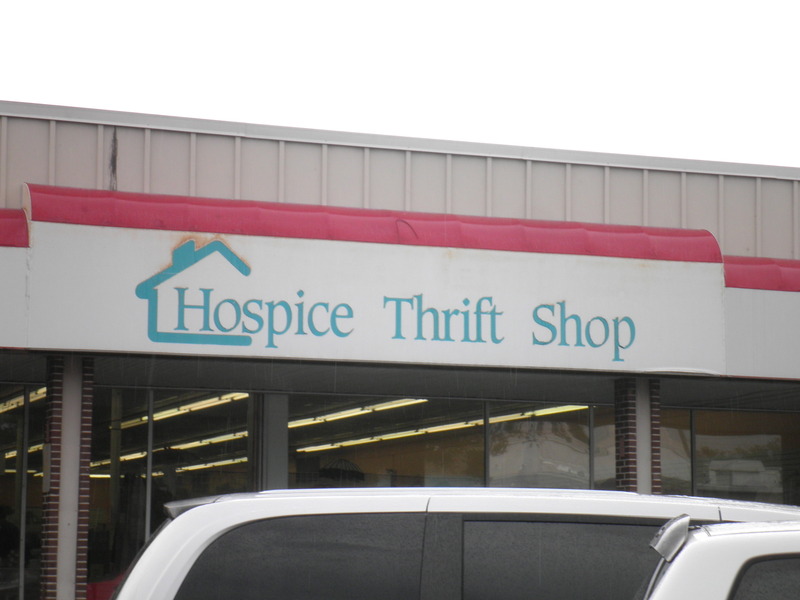 I thought I was a thrift store junkie because I go once every couple of weeks. You’ve got me beat by miles! Stepanie, it’s so EASY in this area of Fla. I swear there must be 100 thrift stores just in this area. I would have been buying a lot more if I weren’t flying home! I’ve got to expand my thrift store horizons when I get back to NJ! Thanks, Val! Glad you like them. I’ve got lots more but I don’t like to bore anyone with too many!